Finalist for the 2013 Pulitzer Prize in Fiction, Nathan Englander is a celebrated voice in American literature who draws upon his Orthodox Jewish upbringing in both his writing and lectures. Englander's debut, For the Relief of Unbearable Urges, became an international bestseller and earned him the PEN/Faulkner Malamud Award. 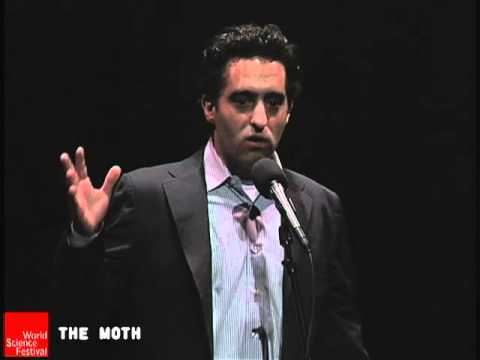 His latest work is kaddish.com, a novel that brilliantly highlights his wit and humor. Nathan Englander is a bestselling author at the very forefront of contemporary American fiction. Englander’s short fiction has appeared in The Atlantic Monthly, The New Yorker, and numerous anthologies including The Best American Short Stories, The O. Henry Prize Stories, and The Pushcart Prize. His story collection For the Relief of Unbearable Urges earned him a PEN/Faulkner Malamud Award and the Sue Kaufman Prize for First Fiction from the American Academy of Arts and Letters. Englander’s most recent collection of short stories, What We Talk About When We Talk About Anne Frank, published in 2012, was a finalist for the Pulitzer Prize in Fiction. In his stories and his lectures, Englander draws upon his Orthodox Jewish upbringing in West Hempstead, Long Island, as well as his life in Jerusalem that began with vacations in his college years and then a more permanent move he made in 1996, before returning to New York in 2001. His latest book, kaddish.com, is a streamlined comic masterpiece about a son’s failure to say Kaddish for his father. Englander was selected as one of “20 Writers for the 21st Century” by The New Yorker. He was awarded the Bard Fiction Prize, a Guggenheim Fellowship, and, in 2004, he was a fellow at the Cullman Center for Scholars and Writers at the New York Public Library. In 2012, his first play, The Twenty-Seventh Man, premiered at the Public Theater and his original translation New American Haggadah (edited by Jonathan Safran Foer) was published to much acclaim. Dinner at the Center of the Earth, published in 2017, centers on the Israeli-Palestine conflict and uses a depiction of the complex relationship between a prisoner and a guard to paint a portrait of a frightened nation where political and moral dilemmas intertwine. 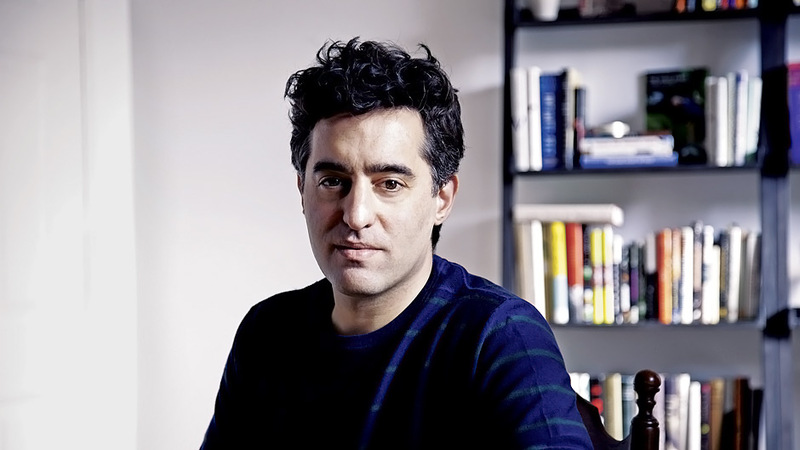 Join Nathan Englander for an intimiate discussion on his career as an acclaimed fiction writer, insights into how his background and identity continue to shape his work, and a look into a creative process that consistently produces celebrated and thought-provoking works. I have attended many programs here at Siegal and found this program to definitely be at the top of my “BEST” list. Nathan was natural, engaging, intimately honest, and funny. Lunch was like sitting in a living room one-on-one with him. Anyone at lunch couldn’t get over how Nathan just sat there and answered questions and spoke to us all as if we were all friends having lunch together. After the evening lecture people lined up for book signing and some people who didn’t have a book, just stood on line to thank Nathan and to talk to him for a minute. It was a wonderful day and very well received. Appealing… Clever, fragmented, pithy… Englander is a wise observer with an empathetic heart. Equal parts political thriller and tender lamentation, the latest from Englander explores, in swirling, nonlinear fashion, Israeli-Palestinian tensions and moral conflicts… Ultimately, Englander suggests that shared humanity and fleeting moments of kindness between jailer and prisoner, spy and counterspy, hold the potential for hope, even peace. Nathan Englander's latest is, as usual, superb: a work of psychological precision and moral force, with an immediacy that captures both timeless human truth as well as the perplexities of the present day. Showcases Mr. Englander’s extraordinary gifts as a writer. I’m in love. For evidence that collections can be just as satisfying, read as deep, if not deeper, and beat with as much life and insight as a hulking novel, look no further.